Rain Check—our program best known for providing City residents with free rain barrels—is entering its sixth year with a new website designed to encourage more home landscaping projects that protect local waterways. By visiting the new Rain Check site, residents can now get a jumpstart on sustainable projects in the new year by discovering the best green upgrade for their property, right from their phone or computer. While free rain barrels are the most popular tool installed through Rain Check, the program also provides deep discounts on a range of green upgrades that lessen a home’s stormwater pollution footprint. 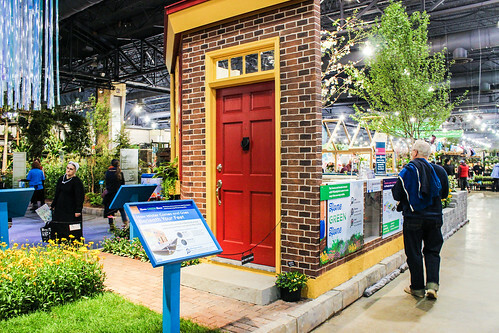 Using fresh features on the new website, homeowners can explore whether a rain barrel, planter, or more involved green upgrade—such as a rain garden or rain-absorbing back patio—is a good fit for their property. After deciding what tool is the best option for shrinking their property’s stormwater pollution footprint, residents can sign up for an upcoming workshop. The free educational workshops, held in neighborhoods across the city, are mandatory to receive a free rain barrel or participate in Rain Check cost-sharing. Qualifying projects can receive up to $2,000 through Rain Check cost-sharing. Newly-elected Mayor Jim Kenney rang in 2016 in a big way by naming Debra A. McCarty Philadelphia Water Department Commissioner, making her the first woman to lead the organization in its nearly 200-year history. That big announcement, it seems, set the tone for PWD in 2016. It was a busy year, with lots of exciting news—big and small—for Philly’s water community, and we recently took some time to look back at all the great things happening here. It was such a big year at PWD, we’re presenting our 2016 highlights in not one blog post, but three! The Philadelphia Water Department is thrilled to receive the 10,000 Friends of Pennsylvania’s Excellence in Public Infrastructure Award in recognition of the success of the Green City, Clean Waters program. Commissioner Debra A. McCarty will accept the honor at the 2016 Commonwealth Awards, an annual fundraiser held for the 10,000 Friends group. The ceremony will take place on Tuesday, January 24 from 5:30-8 p.m. at the Academy of Natural Sciences of Drexel University. RSVP now. Drexel University will also be the inaugural recipient of the Joanne Denworth Founders Award, the highest award given by the statewide nonprofit. Drexel President John A. Fry will accept the honor and deliver keynote remarks. SEPTA will be presented with the Excellence in Community Transportation Award. To make a donation and save a spot at the awards, visit the 10,000 Friends page and RVSP by Jan. 17. 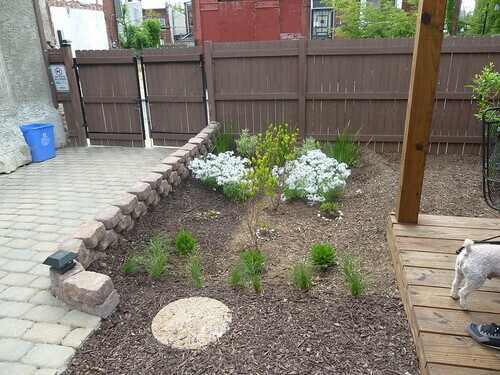 In 2016, the City of Philadelphia celebrated the first five years of Green City, Clean Waters, a groundbreaking green infrastructure program that protects local waterways from pollution by greening neighborhoods and improving stormwater infrastructure. While the program is set to expand more than tenfold in the coming years, hundreds of public and private green stormwater infrastructure projects are already reducing pollution from sewer overflows and runoff by 1.5 billion gallons during a typical year. Read more about the success of Green City, Clean Waters’ first five years here. As a work of spectacular architecture and artistry, a National Historic Landmark and holder of several world records, Philadelphia’s ornate and iconic City Hall is a place that dominates the center of our city—spiritually, culturally, and, yes, geographically. And while the most astute students of Philly lore might be able to cite William Penn statue stats (37 feet tall, 27 tons of bronze, biggest atop any building in the world) far fewer know about the site’s remarkable geological status or its pre-City Hall history as it relates to science, infrastructure and water. A new project seeks to honor that distinction by breathing fresh life into the building’s expansive courtyard, and the Mayor’s Fund for Philadelphia is calling on “experienced local artisans, architects, designers, and makers” to design and build an outdoor feature that, among other things, will serve as a platform for programming and activities.